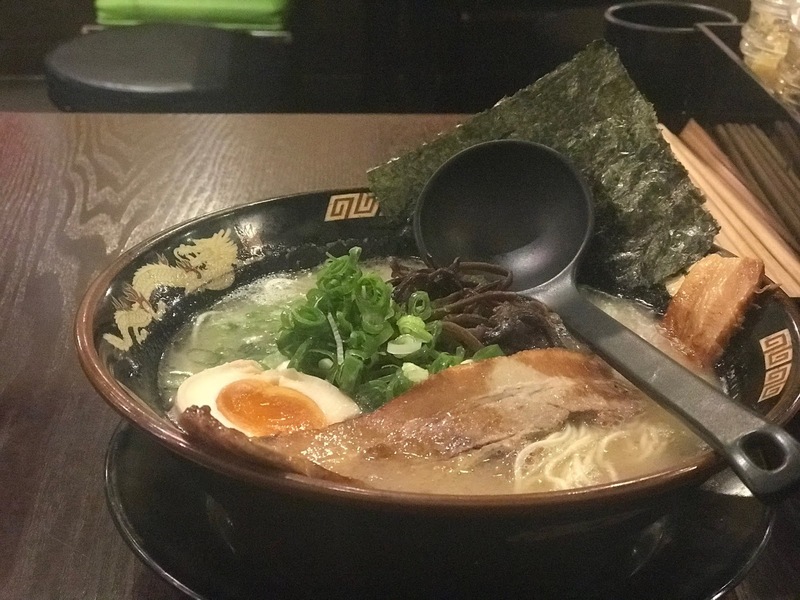 Musashi is a relatively new ramen restaurant located in the China town area, joining all the other ramen venture in Melbourne. On occasions, they do have line on their door but not as massive as Hakata Gensuke. It is still highly possible to get a table straight away and much faster as well, so it's a good place for a quick ramen. Lunch Combo available Monday to Friday from noon till 4pm with a choice of ramen plus snack or drink for ($15). I say it's not bad at all. Do get in early cause the place gets busy pretty quickly and they don't use the table upstair. I chosen Hakata Tonkotsu and 4 pieces gyoza. The ramen it self is pretty good but still behind from our champion Hakata Gensuke and Ippudo. 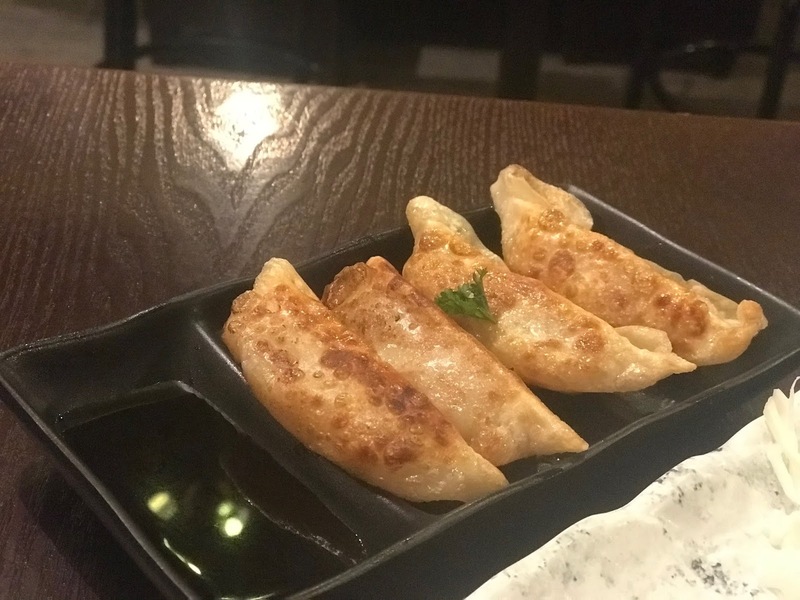 Their gyoza was very oily and average but still acceptable. 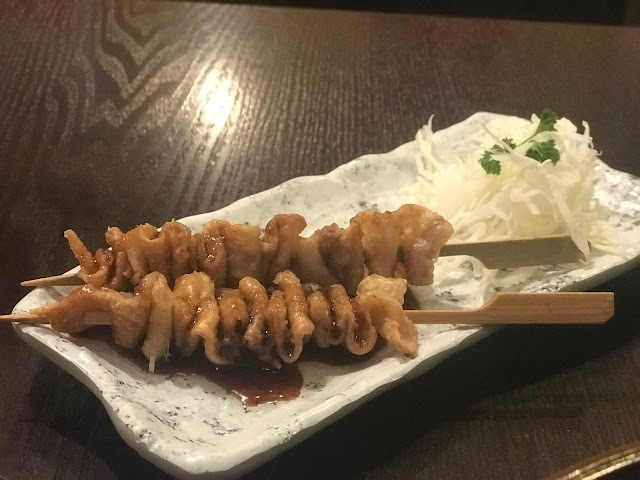 Grilled Chicken Skin (2pcs-$7) with a choice of shio, tare and sweet spicy sauce. I gone for the Japanese BBQ sauce and I love it so much. Super crispy chicken skin, juicy and not too much oil with sweet after taste. I would come back for this. The main flaw was their service, the waitress are not friendly but oh well it's China town. They do provide a very fast service, perfect for quick lunch for students and worker.